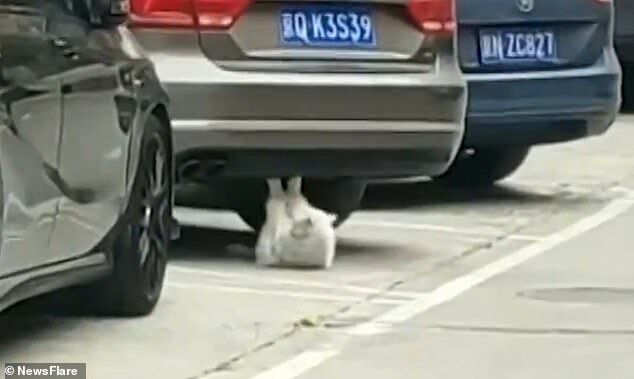 Two men in China happened to be walking through a parking lot when they noticed a white cat underneath a car on its back. Even more bizarre was that the cat had its back paws hooked under the car so it could pulls its head forward to do sit-ups. Upon being discovered, the cat stopped doing sit-ups and watched the men, but when the men left, the cat returned to its workout. If a cat can exercise regularly, then perhaps there’s no excuse for people not doing the same thing. To read more about the cat doing sit-ups, click here.